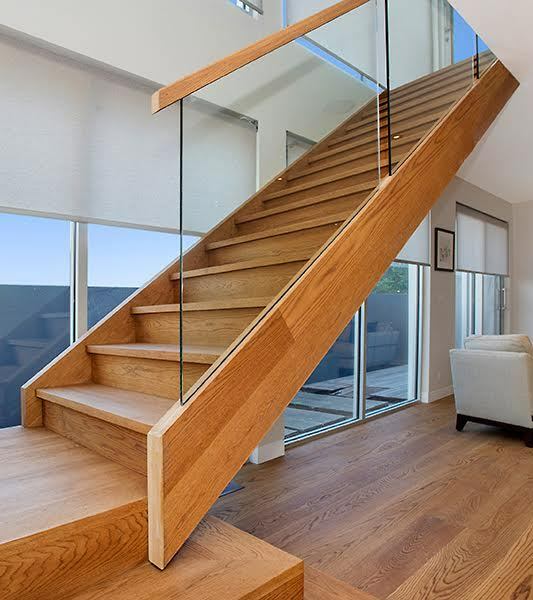 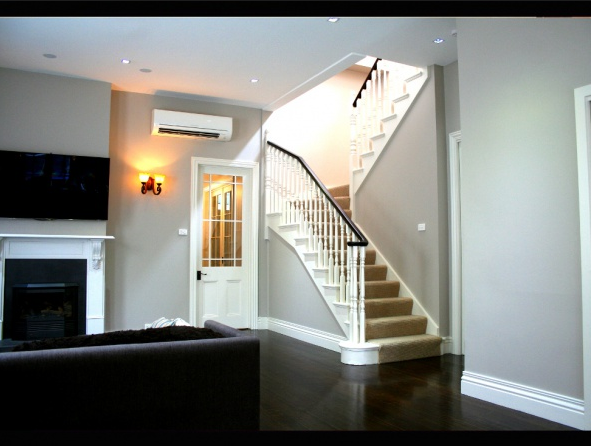 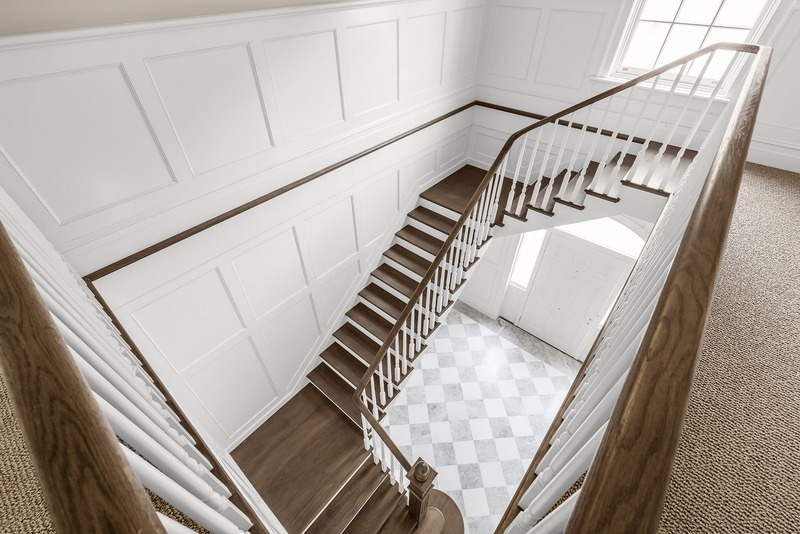 A traditional stair will be complimented by its balustrade with the combination of materials used in such a way that the final product has a warm and classic character.While traditional steps will almost always be constructed from timber, this isn’t necessarily the case with a traditional balustrade. 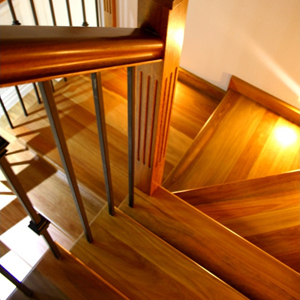 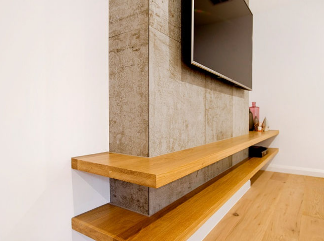 Certainly timber is a favoured material, particularly the use of turned balusters, wide timber slats and sturdy newel posts. 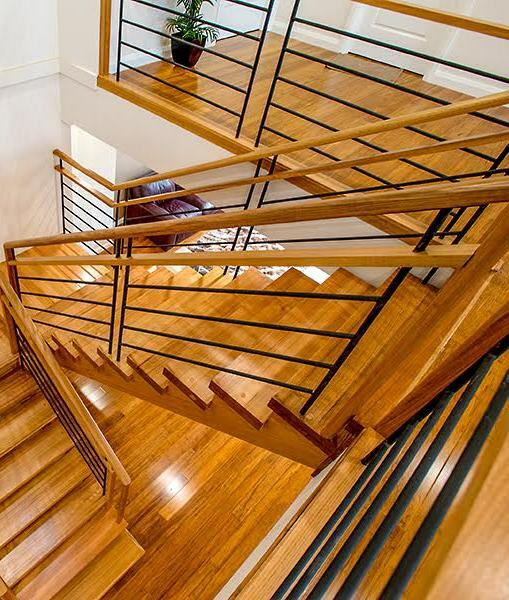 However wrought iron and steel (usually also finished in black) are equally characteristic of this style. 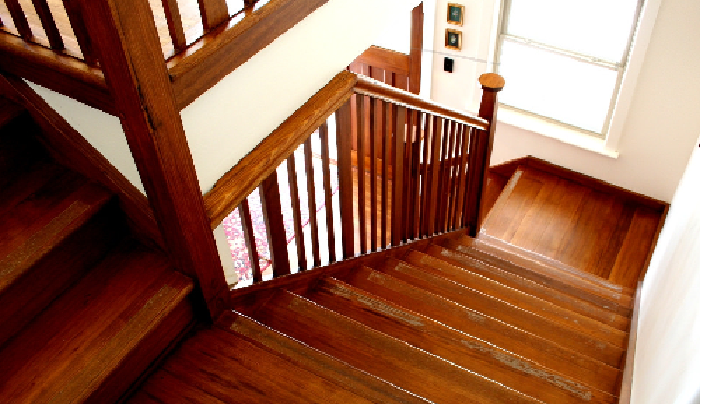 A traditional balustrade often begins with a substantial newel post, which might be square, turned, oversized or have a custom made chamfer. 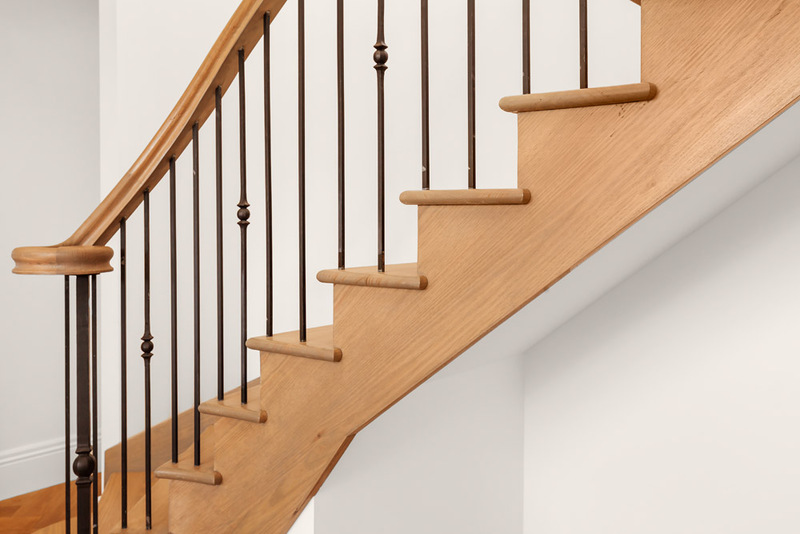 A cluster of steel or wrought iron balusters or a scroll post, capped by a handmade wreathing scroll is another traditional balustrade design. 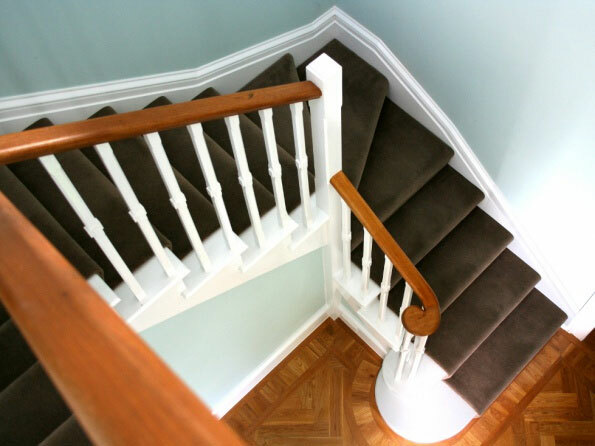 Plain and decorative balusters are often interspersed in a repeating pattern which gives great opportunity to customise your staircase to suit the surrounding décor or to introduce personalised motifs.The choice of complimentary timber handrails, colours and finishes can be used to further enhance and personalise the stair design.